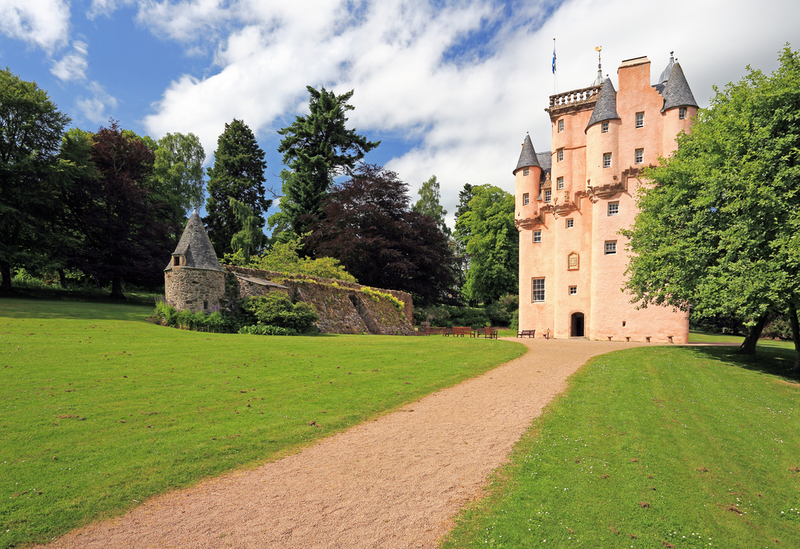 “Craigievar Castle” wrote one leading travel writer “is the archetypical fairy tale castle topped with an extravaganza of corbelled tower, intricately stepped gables and sculptural and crown-like balustrades.” See for yourself! It commands a hillside south of Alford, built in 1626 and possibly the finest most complete example of Scottish 17th century castellated architecture. The lands of Craigievar go back seven centuries, but the building we enjoy today came about thanks to the business success of “Willie the Mercant” or “Danzig Willie”, the Forbes son who made his fortune in Baltic trade.